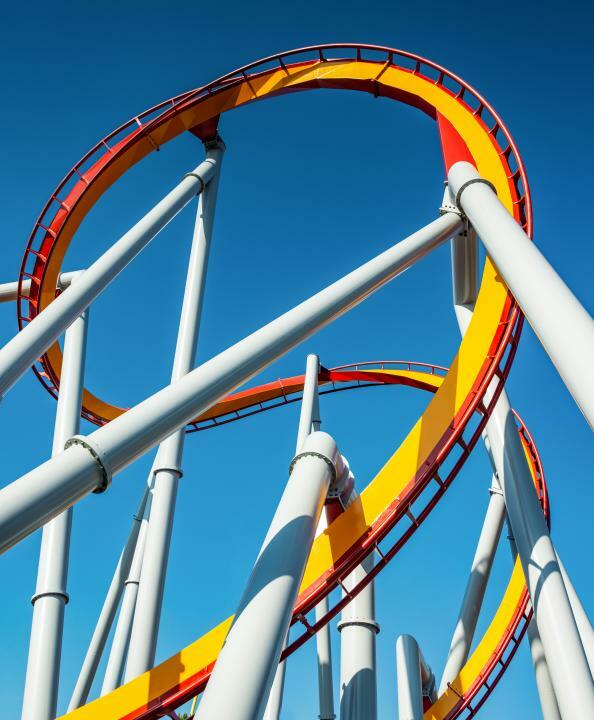 Creative engineers and designers will use curves to create thrilling amusement park rides. Hold on. It's going to be a wild ride! I was tempted to convert this image to B&W to emphasize the curves but enjoyed the contrasting and complimentary colors too much to do so. Nikon D800, Nikkor 28-300mm lens, 1/500 sec at f11.